A cold westerly wind blowing in off the Pacific Ocean is forcing heavy rains to fall sideways this evening. Commuters who have long walks between transit stations are advised to take a taxi. 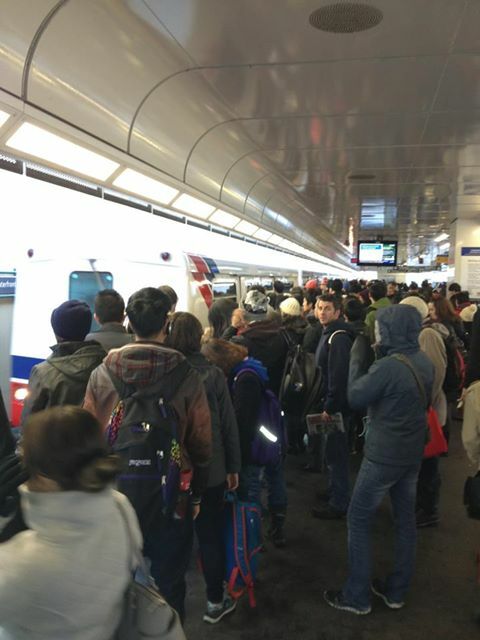 It snowed and the Greater Vancouver Area is being evacuated via public transit. Wait! We are receiving an emergency transmission from our correspondent on the line . . .
Oh . . . Correction, it’s just rush hour and there are only four cars per train . . .